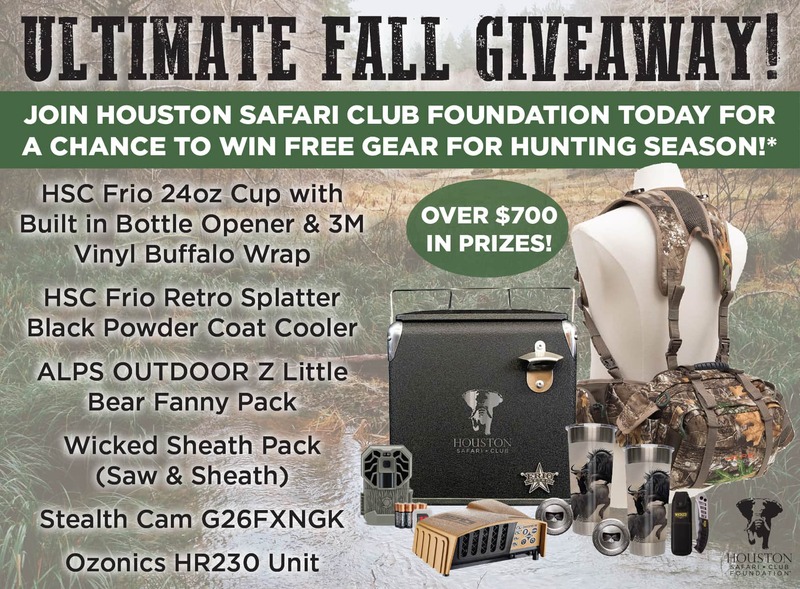 Houston Safari Club Foundation (HSCF) takes kids hunting and fishing, provides youth outdoor education programs, provides scholarships to students majoring in outdoor related studies and funds conservation programs all over the world. Membership support helps make these programs possible! Thanks to Ozonics Hunting for donating the Ozonics HR 230 Scent Elimination Technology device. They believe in the mission of HSCF to support the future of hunting! Learn more about them at www.ozonicshunting.com. To join, renew or upgrade your membership, click on the appropriate link below or call 713.623.8844.